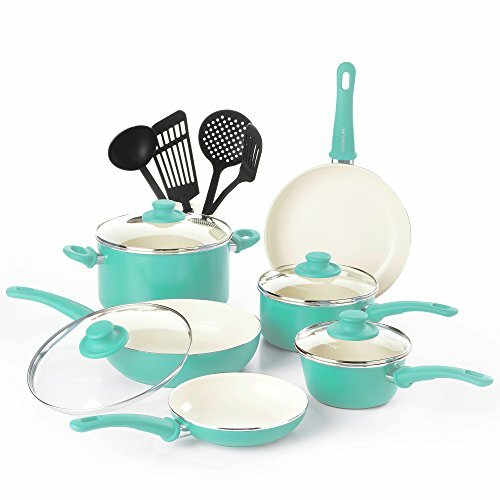 The GreenLife Soft Grip 14pc Ceramic Non-Stick Cookware Set, Turquoise makes the perfect addition to any kitchen. The high performance Thermolon ceramic non-stick coating is long lasting and easy to clean, made without PFAS, PFOA, lead or cadmium. The glass lids allow for convenient monitoring while cooking and the dishwasher-safe construction makes cleanup a breeze.